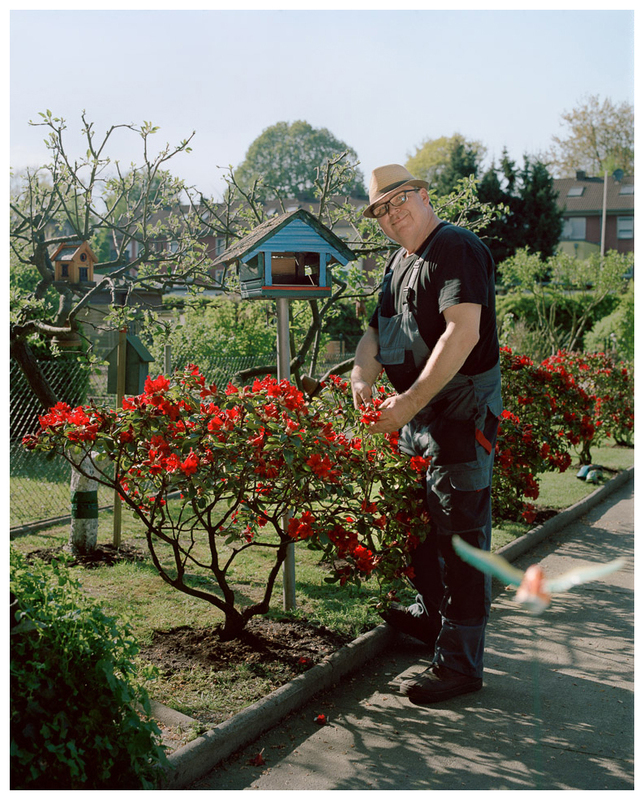 My project is about german people who care about their garden. 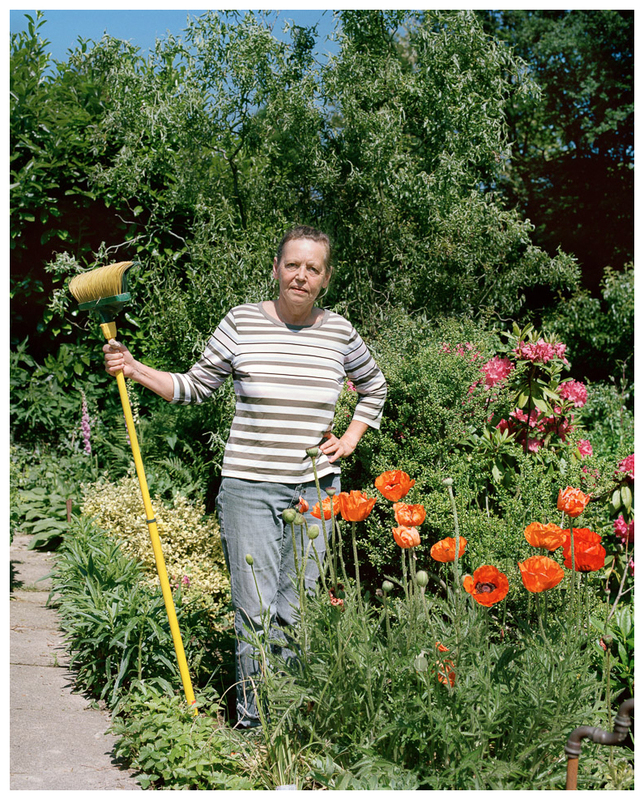 A gardener is someone who practices gardening, either professionally or as a hobby. I chosen only people from private space with private gardens or yards. 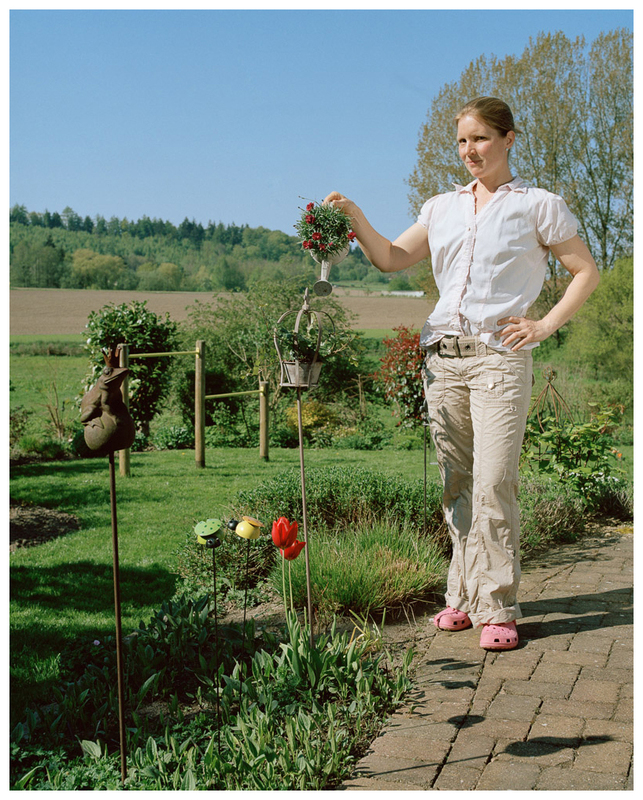 I was unbelievably fascinated by local gardens, when I moved to Germany. 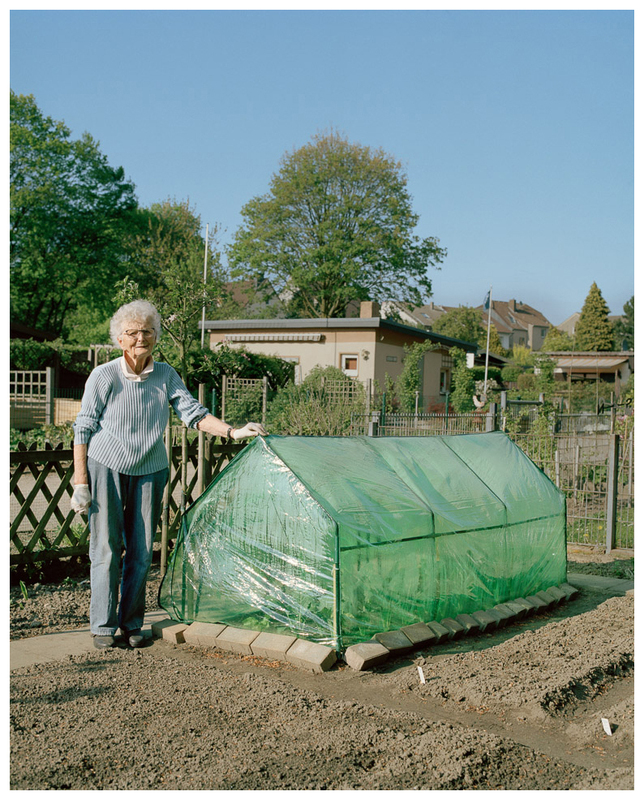 In Slovakia, gardens are mainly intended for growing vegetables and plants. Naturally, every house has got some small front yard with flowers, small trees and bushes. Here I saw many lush plants, front yards have many cropped bushes into some balls or other shapes. Stuff as plastic animals, dwarfs and cupids of stone which many people use for their nicer garden, looks many times kitschy and funny. 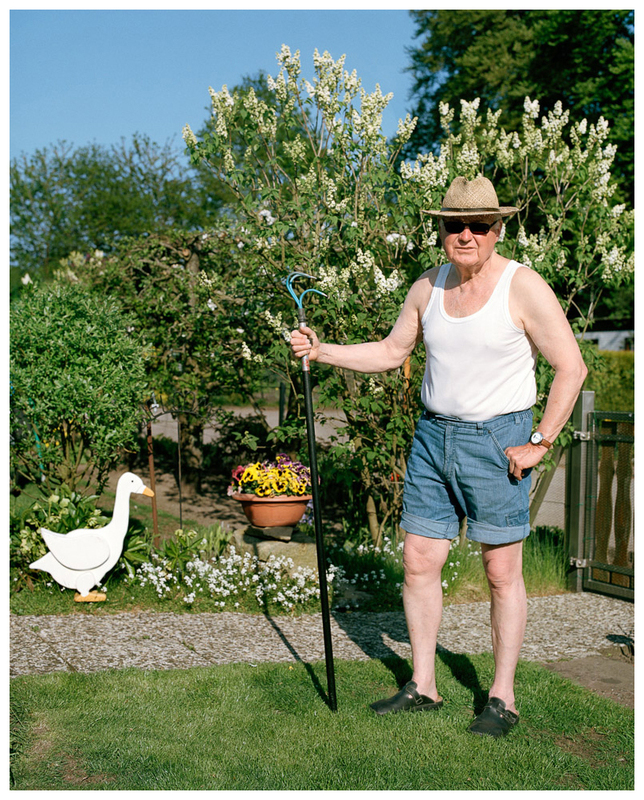 Typological elements are typical in portrait photography in Germany. 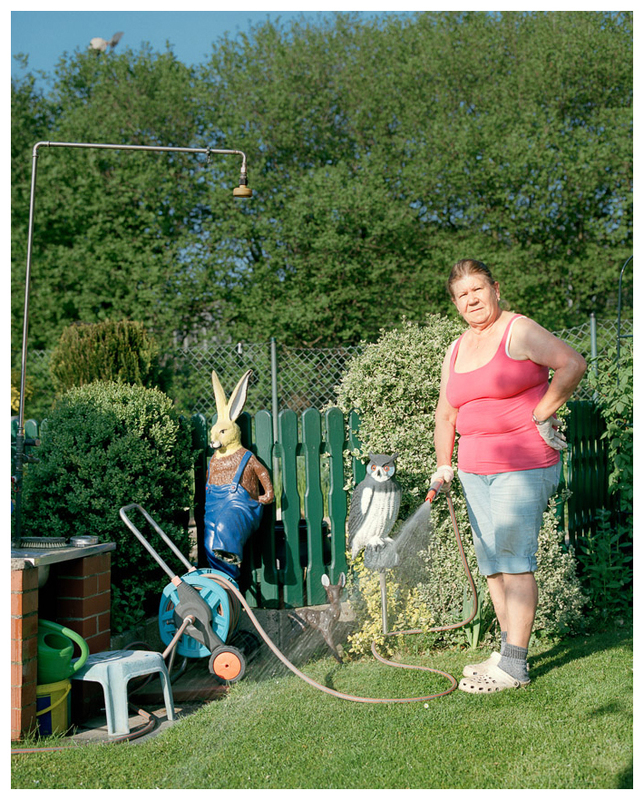 I was inspired by August Sander’s precise work, where he made typological portraits of many groups, which he made. 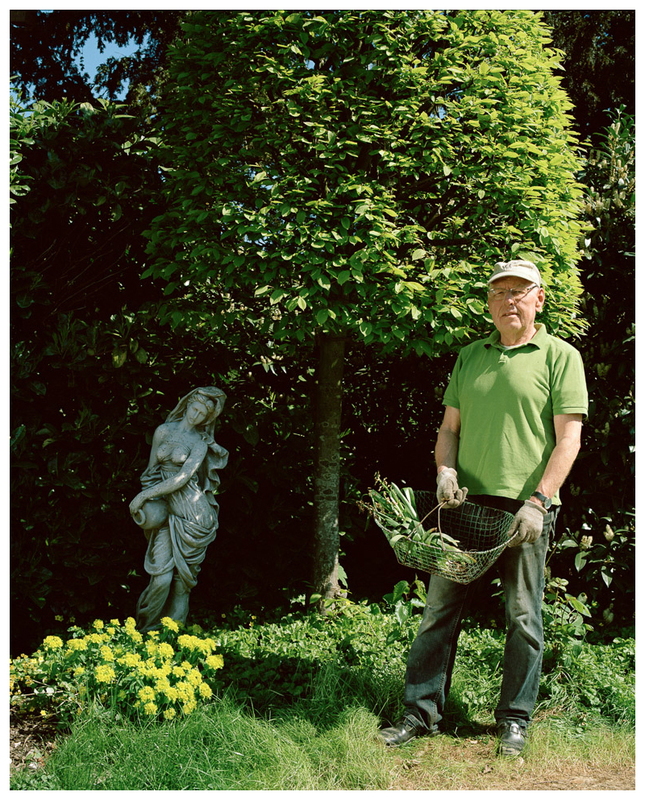 In the series „Gardeners“ I combine this typological elements of portrait and my sense of humor.